Al Ain are a long way from last season's title success - a record-extending 13th championship. It’s been an uncomfortable rollercoaster of a ride for Al Ain this season, and the journey reached its most stomach-churning moment on Saturday night as they suffered a 4-0 hammering at home to Ajman. In the pouring rain, Al Ain’s reign as Arabian Gulf League champions effectively came to an emphatic end – the shocking performance even more abnormal than the weather. On a dark day in the Garden City, both in terms of the teeming rain and performance from the hosts, the effervescence of the Orange Brigade’s performance was the only bright thing on display. A nadir was reached in a tumultuous campaign. Defeat was their worst result at home in the professional era – which began in the 2008/09 season. A penny for the thoughts then of their former coach, Zlatko Dalic, who was seen taking selfies in the Hazza bin Zayed Stadium stands during the second half of the rout. Dalic led his native Croatia to the World Cup final last summer – surpassing the feats of the country’s golden generation two decades previously at France ‘98. They eventually succumbed to a 4-1 defeat to France and Les Bleus’ own golden crop, but Dalic had dazzled. 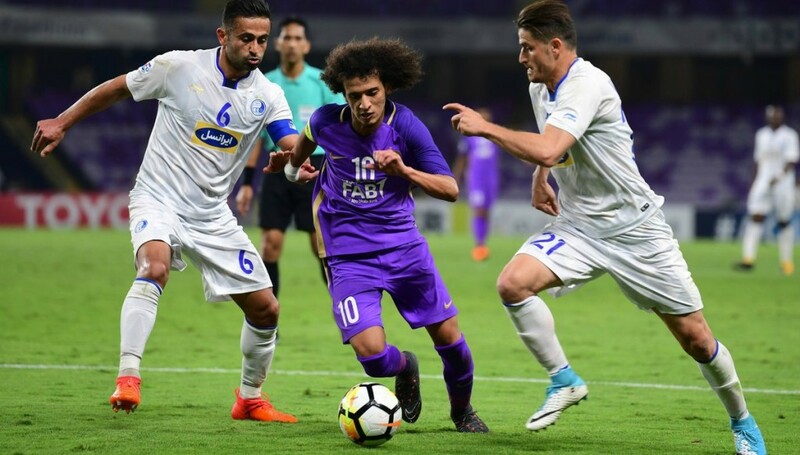 Al Ain had to deal with the shocking loss of Omar Abdulrahman on the eve of the 2018/19 season. As for his former employers? The Boss’ grip on their Arabian Gulf League crown is slipping, with the King as good as coronated – Sharjah are nine points clear of second-placed Shabab Al Ahli Dubai Club with six games to go. The Boss lie 12 points adrift and have now slipped to fourth, behind Al Jazira. Al Ain – the most dominant team in UAE football history, both pre and post-professionalism – are in real danger of not qualifying for the AFC Champions League for the first time in seven years. It must have been an uncomfortable watch for the former coach who, despite his tumultuous exit in January 2017, holds the club close to his heart. He conceded at last year’s World Cup “I will stay Ainawi for ever” – a reference to the club’s fans. Al Ain’s form in recent weeks has been troubling in general. A credible 2-2 draw in midweek against Al Duhail in the Champions League – the Boss had trailed 2-0 in Doha – masked a stretch of wretched results. 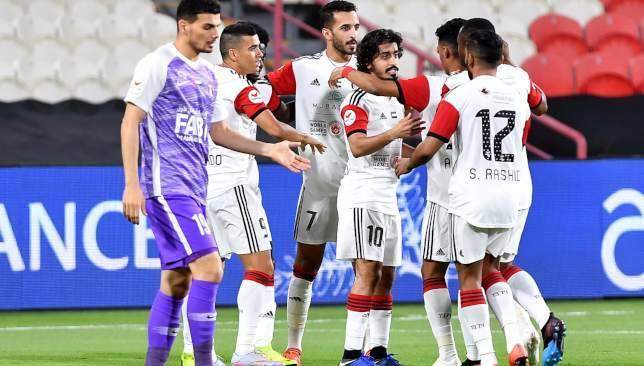 It was sandwiched by a 5-1 drubbing to fierce rivals Jazira in UAE football’s glamour game, ‘Al Clasico’, and Saturday’s home humbling against Ajman, a team promoted just two seasons ago. 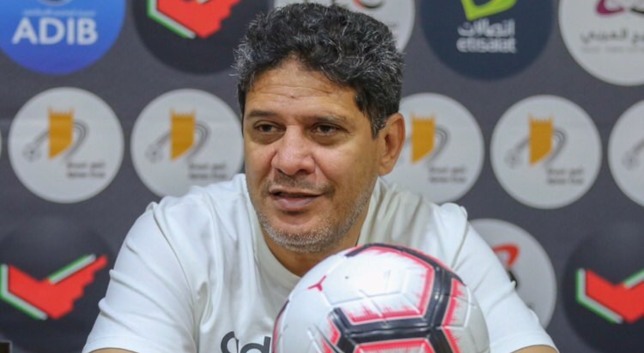 Not much has gone right for Al Ain since – or prior for that matter – the departure of Dalic’s compatriot, Zoran Mamic, at the start of the year. His first season in charge had ended in unprecedented success. Mamic – part of that golden generation squad in France two decades ago, playing for Bundesliga club Bochum as a defensive midfielder – stepped in and hardly missed a beat domestically. 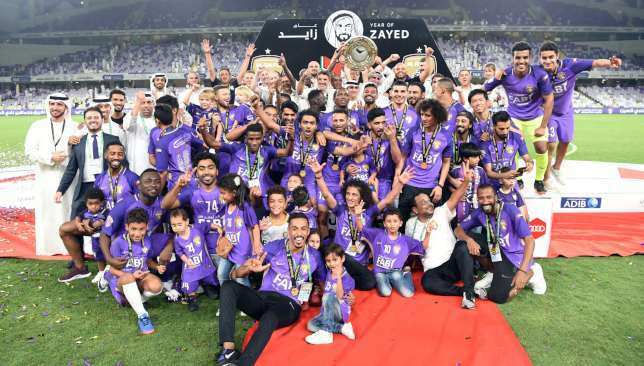 A record-extending 13th league title was captured last term, while Al Ain also hoisted a seventh President’s Cup – the first time in the club’s 50-year history they had done the double. They reached the final of the FIFA Club World Cup on home soil in December – going down memorably to the mighty Real Madrid, losing 4-1. But this season, things have started to unravel. It began disastrously with the shock return of prized asset Omar Abdulrahman to boyhood club Al Hilal. Egyptian schemer Hussein El Shahat – who had been so prolific following an initial January 2018 loan move (eventually made permanent) from Misr Lel Makkasa – was bizarrely let go, returning to his homeland with Al Ahly. Al Jazira thrashed Al Ain 5-1 in Al Clasico a few weeks ago. 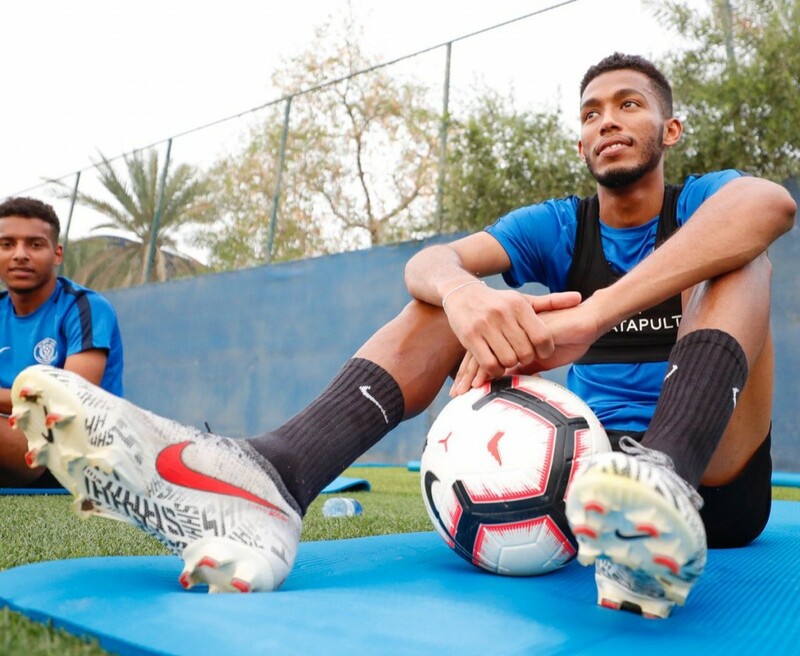 Allowing Abdulrahman to run down his contract and eventually leave on a free transfer was just the latest, if most painful, instance of player mismanagement. The club had previously allowed battling South Korea midfielder Lee Myung-joo to depart for no fee. Brazilian winger Caio – arguably the most influential Al Ain foreign signing since Asamoah Gyan – is likely to depart this summer, for nothing, and join Portuguese giants Benfica. Mamic then followed Amoory’s lead and departed for Saudi Arabia giants Hilal in January. The Boss have won just three games in a run of 11 since, losing five. New Spanish coach Juan Carlos Garrido has overseen four defeats and just two wins in eight matches in charge. It is the club’s worst run in nearly six years since a stretch of six losses, one draw and one victory straddled the end of the 2012/13 and dawn of the 2013/14 campaigns between the toxic end to Cosmin Olaroiu’s tenure and Jorge Fossati’s disastrous 46-day reign. Al Ain are now in real danger of missing out on next season’s Champions League – they have not failed to qualify for Asia’s most glamorous club competition since 2012. They won it in 2002/03, the only UAE team to don the continental crown. But, right now, with Sharjah on the cusp of a maiden league title in 23 years, Shabab Al Ahli also on the rise, and Jazira and Al Wahda in good shape too, Al Ain could be in danger of sliding into obscurity. Some way to follow 2018’s reaching of their half century. The Boss are in a mess, and it is one of their own making. An interesting few months await for Al Wasl striker Caio Canedo. After two-successive top-three finishes, 2018/19 has been a disaster for the Cheetahs. This descent towards the bottom has been a painful one for their skipper, whose posts on Instagram strongly hint at the imminent ending of a prolific four-year stint at Zabeel Stadium. I started as a kid, of course. Always playing in the streets of Brazil. When I was 10, I had to move to the United State with my family, and there started to play again. I broke all the records possible in the school and received many offers from all the top-seven universities in the country. But by the age of 16, I knew I was special and talented, so I decided to move back to Brazil so I could play professional. It worked well. I made it. Maybe the planning. A lot of competitions and not enough players in the squad to backup injuries and suspensions with the same quality. You are the captain of the club and have scored 65 goals with Al Wasl in the UAE league, what does this mean to you? I have almost 100 goals for Al Wasl in all competitions, That’s an incredible mark for me and I’m very happy. It feels good to be such an important player in the history of the club. Being a captain is great. I’m a true leader. I try to be an example to the others. What do you think of the UAE league’s level this season, and what team will decide the league? The level is great and continues improving each year. Maybe Sharjah has a bigger chance, they are doing great. In your opinion, why don’t many Gulf players move to Europe? Maybe because most of them don’t need football as a living. The majority has a comfortable life here. In the UAE they have everything, so for them there’s no ambition to play outside. I want to sit down and talk to the administration about my situation by the end of the season. Who is the best foreign and local player this season in the league? Best foreign player can be Welliton from Sharjah. He has a lot of goals. Local player, I would say Khalfan Mubarak from Al Jazira. 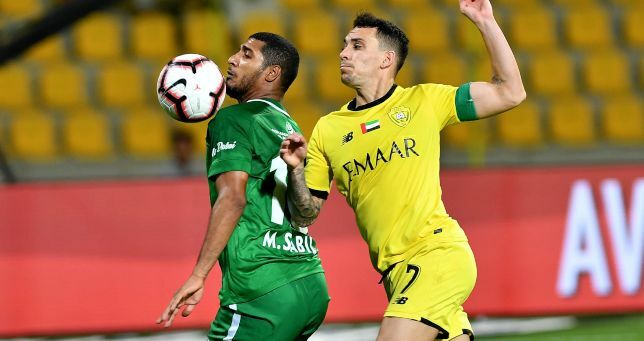 Round 20 of the 2018/19 Arabian Gulf League delivered several stellar displays, at both ends of the table. Mid-table Ajman humiliated champions Al Ain, inflicting their heaviest home defeat – Sunday’s 4-0 loss – of the professional era. At the bottom, Emirates Club and Dibba Al Fujairah gained vital wins as they battle against relegation. The €6 million sent Palermo’s way last summer for the Brazilian playmaker seems cheaper by the round. 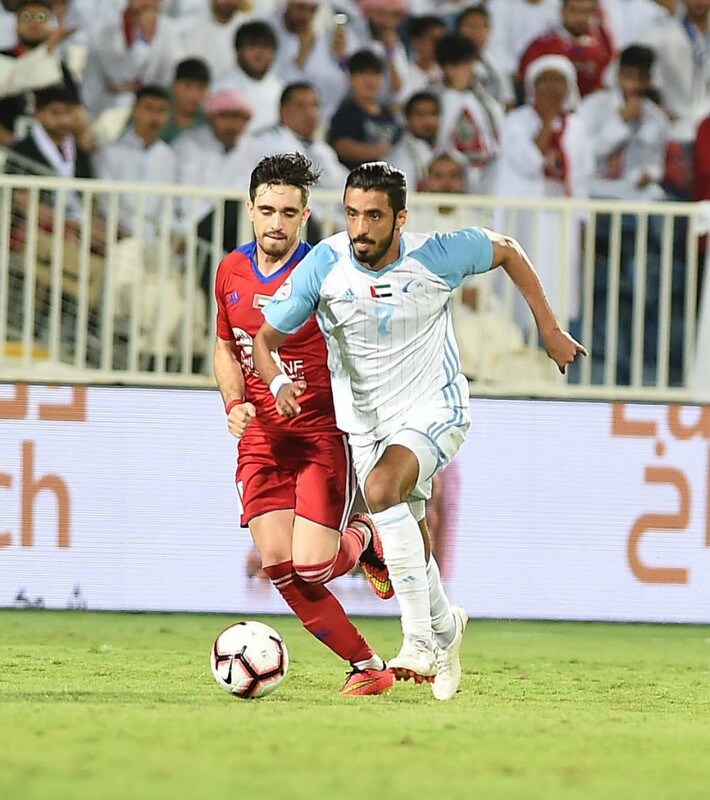 Coronado came to Sharjah’s rescue at Bani Yas, dispatching a one-on-one and penalty as the unbeaten leaders came from behind to defeat promoted opponents. A first top-flight title since 1995/96 is moving into view. A stupendous goal laced with significance was rattled in by Al Akbari this weekend. Back at Al Nahyan Stadium for the second time since a surprise defection from Al Wahda, the forward unleashed an unstoppable curled shot that sparked a revitalising 2-1 win for Al Nasr. We keep seeing glimpses of a special talent. This was a result that dreams are made of. 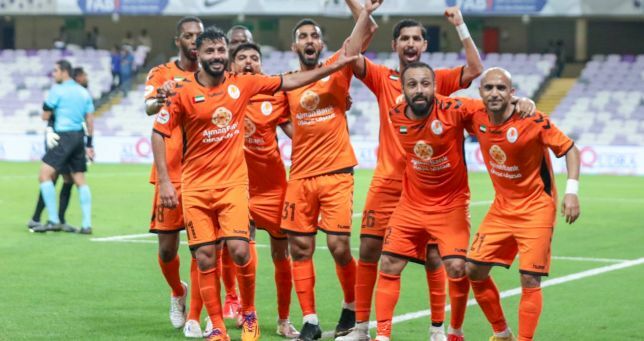 The Orange Brigade trampled all over the UAE’s most-decorated club, a 4-0 triumph being the heaviest Al Ain have suffered at home in the professional era. El Ramady deserves more credit. Beyond this historic result, he’s long ended talk of Ajman being a yo-yo club. Can the Falcons fly free again? Life is never dull for the Emirates Club faithful. The Falcons, as always, have been locked in a battle against relegation all season. But Friday’s epic 3-2 victory at Al Dhafra, ending a nine-game winless run, has propelled them out of the bottom two and sparked talk of another great escape. Emirates’ indefatigable reputation has been established by finishing one point above the drop zone in 2015/16 and 2016/17, then requiring a relegation play-off to survive a season later. Will they do it again?